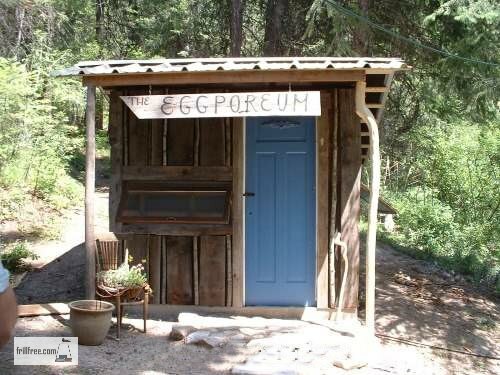 Originally planned as a funky little earth floored shelter for my Bantam chicken flock, this little storage shed morphed without any intention on my part into a bird themed museum of sorts. 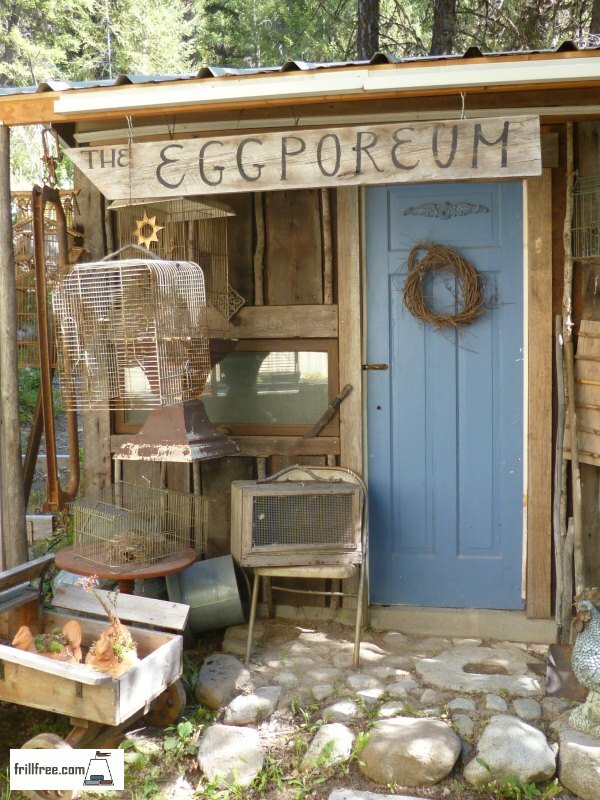 The blue door with the bit of whimsical trim might be a hint that all here is based on birds, flight, and keeping the gardener happy by surrounding them with all things bird-o-belia. 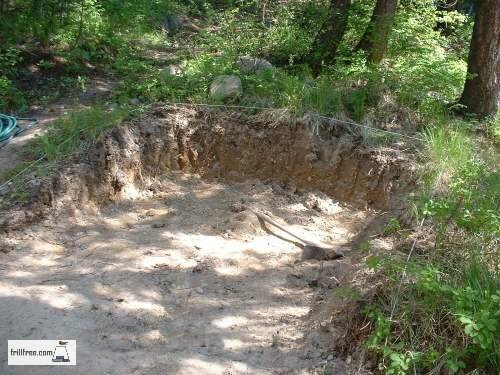 I spent days with a mattock and shovel, digging out the sandy bank so it could be earth sheltered - I worked on a ten and two schedule; ten minutes rest after every two minutes of mattocking - it's hard work! 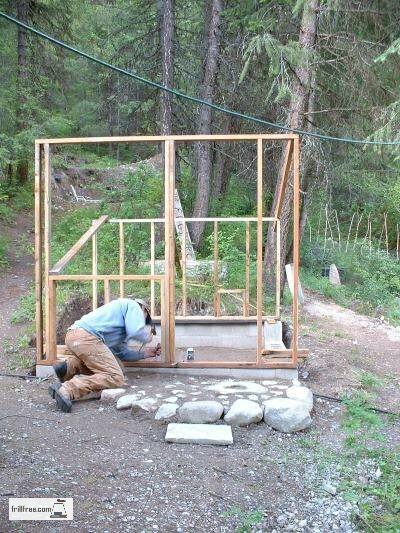 The foundation was just concrete blocks aligned with a string line and level, to make a footing to put the building on - there is no floor, it was designed to use the deep litter system to give the birds something to scratch in, and also to create warmth in the winter. It's kind of a compost-in-place method which only needs to be cleaned out a couple of times a year, making a really quick hot compost once it's removed and put into a bin. All the bits are thoroughly mixed and shredded by that time. 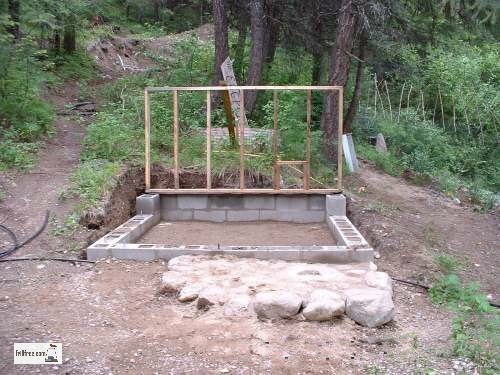 See more about this type of compost on my other site about Organic Gardening. 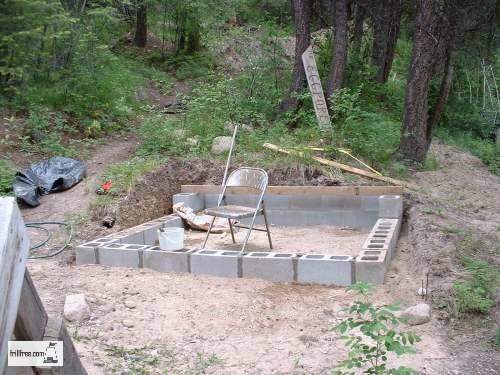 The front step gets installed before the building is up! The rest of the structure was stick framed - if it's less than 8' square, it doesn't need a building permit - handy to know. 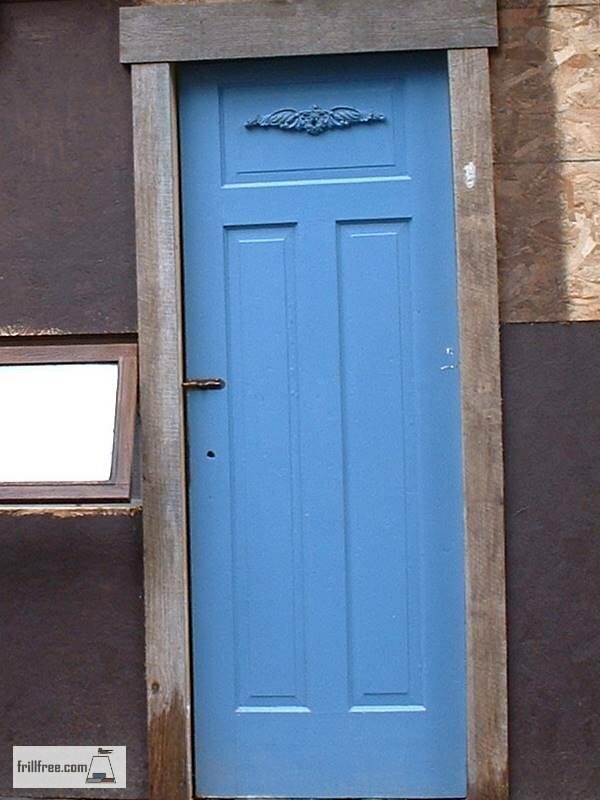 A pretty blue door, salvaged from the recycling center, is embellished with a whimsical angels wing. The windows, also salvaged, are double paned, and both open with a unique kind of hinge which holds it open at the desired angle. 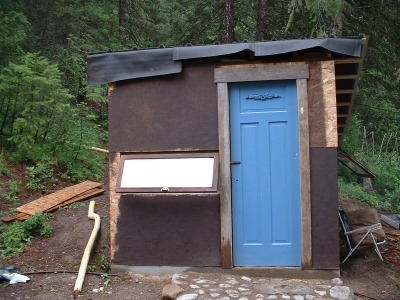 Interested to see the next phase of this cute little building and how I decorate with vintage and salvaged stuff? 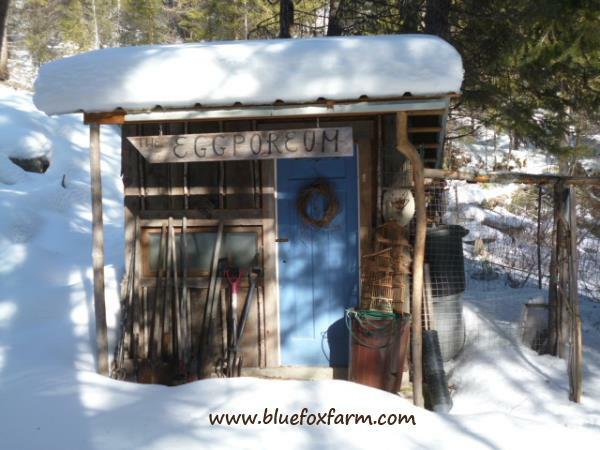 See more about the Eclectic Eggporeum on Blue Fox Farm. 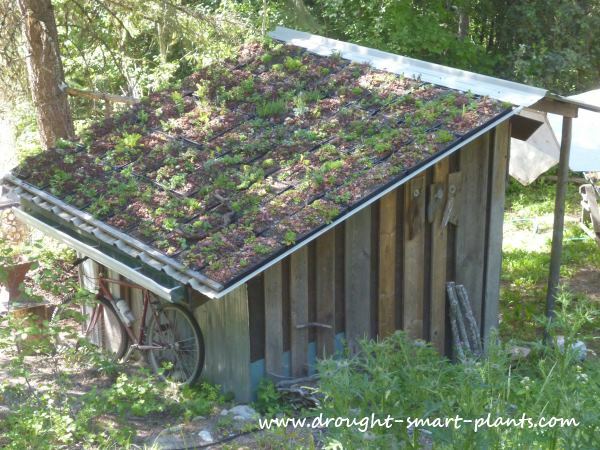 Find out more about the construction of the modular green roof, and what I planted in the trays on Drought Smart Plants.